The experiment’s aim was to reduce and control the angular rate of the REXUS sounding rocket in the roll axis by using a cold gas system. 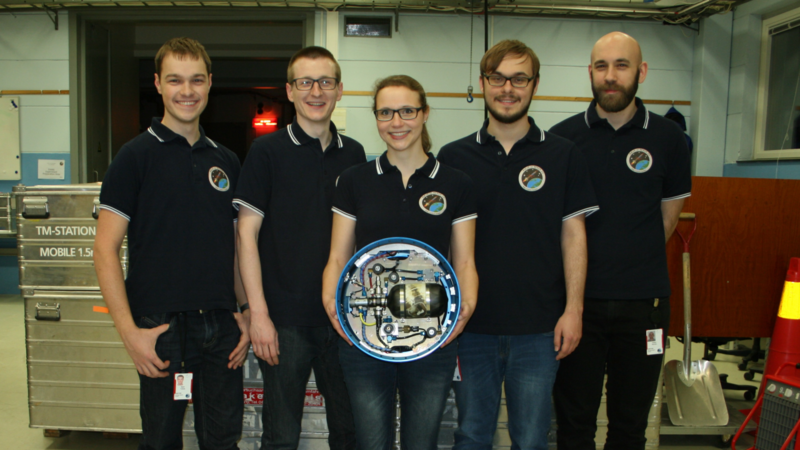 REXUS/BEXUS is an educational program realized under a bilateral agreement between the German Aerospace Center (DLR) and the Swedish National Space Board (SNSB). Two rockets and balloons with experiments on board are launched every year to enable students getting experience in the aerospace sector. This includes among others the development of the experiment, public outreach and organisation. RaCoS was developed by five students of the University of Wuerzburg.